BKChiAlpha: Where do I fit? Many times during our support raising journey I was asked "Kendra, where is your place in this chi alpha thing?" I always hesitated a bit before answering not because I had any question in my heart that I fit, it was more just hard to explain exactly how I fit. For the past 8 years Brandon has been in full time ministry working in churches and for the better part of those years I was a stay at home mom. My main job was keeping the house in order, raising good kids and being a support system to Brandon as well as filling in and attending ministry events when I could get away (I even got to go on a few mission trips to Mexico and winter camps) But, to be honest I struggled with not being in "full time ministry" early on in my motherhood. I felt called to ministry just as much as Brandon and I often felt frustrated with how little ministry I was able to do. I spent a few years feeling lost, not knowing what my calling was or even why God called me in the first place, until one day God literally gave me a wake up call. It happened in a very personal way during a morning at women's Bible study, it came in the form of a sweet whisper that only the holy spirit can give: "Kendra, I called you to be a World Changer and I am going to change the world thru your children" Everything changed for me in that moment. My stay at home mom status became my ministry and once I embraced it as such I began to bear fruit in other areas of my life, such as connecting with students in the youth group in a deeper way, leading a mom that I met at play group into a deeper relationship with Christ and of course above all else I began to gain confidence in my motherhood as I watched my children grow and flourish in all areas of life. 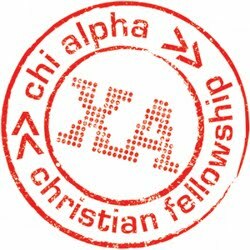 So where do I fit in with Chi Alpha? The same way I have always fit... Tonight Brandon is out late at a Chi Alpha meeting and I spent the evening with the kids at home. We played with the Indian neighbor kids (who I feel may be the beginning of a new ministry for the kids and I) We cooked dinner, played with our bunny, watched the fish, talked about the new chore charts and snuggled before bed. As we were snuggling Amber asked me where daddy was. I told her he was at his new job and Peyton said "I know, telling people about Jesus." Tonight wasn't anything special, just an ordinary night at home but gosh I can't help but feel blessed. Tonight I have an overwhelming sense of peace that we are going to be alright, despite the finances, despite the crazy schedules and the adjustments that come with living in a new place we all fit into this calling together as a family, and who knows maybe one day Peyton's job will be telling people about Jesus just like her daddy does.